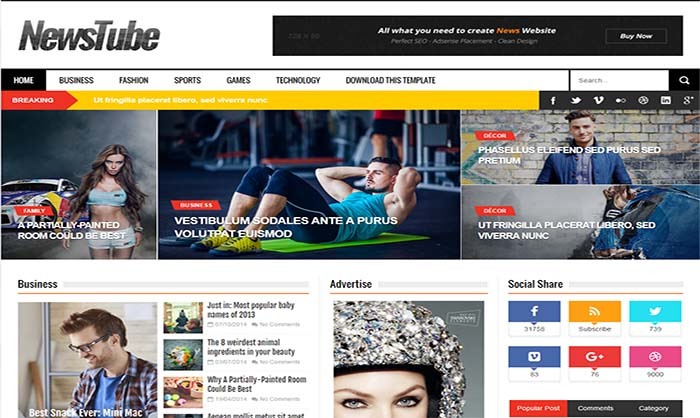 NewsTube Blogger Template is a simple, clean and modern magazine theme. It’s totally responsive so it adapts to your style as well as the device it’s viewed on. The NewsTube has flexible settings and multipurpose design. NewsTube is lightweight, fast and is optimized for best performance and SEO (search engine optimization). Built with the latest technologies, NewsTube is compatible with all modern browsers, responsive in all screens!